Find out the bin, recycling and garden waste days for South Gloucestershire Council. To find out, just ask something like "Alexa, ask South Gloucestershire Bin Day when is the next collection". Alexa will then find out when your next collection is and what is due to be picked up. 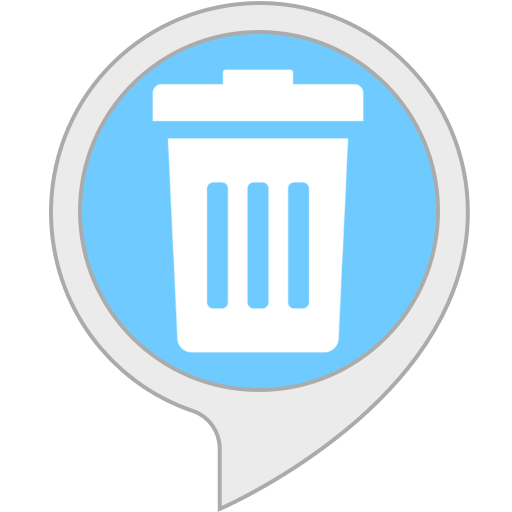 You can also ask Alexa when the next collection is for a particular bin. For instance, you can ask "Alexa, ask South Gloucestershire Bin Day when is the recycling next due"
This skill has not been endorsed by South Gloucestershire County Council. Skill icon has been adapted from an icon created by Freepik from www.flaticon.com and is licensed by CC 3.0 BY. "Alexa, ask south gloucestershire bin day when is the recycling due next"